Mexico, 1919: The birth of the Mexican drug trade begins with opium being smuggled across the United States border, igniting an all-out battle with American law enforcement in general and the Texas Rangers in particular. The Present: Fifth Generation Texas Ranger Caitlin Strong and Cort Wesley Masters both survive terrifying gun battles. But it turns out the actual targets were Masters's teenage sons. That sets Caitlin and Cort Wesley off on a trail winding through the past and present with terrible truths dating all the way back to the Mexican Revolution and the dogged battle Caitlin's own grandfather and great-grandfather fought against the first generation of Mexican drug dealers. 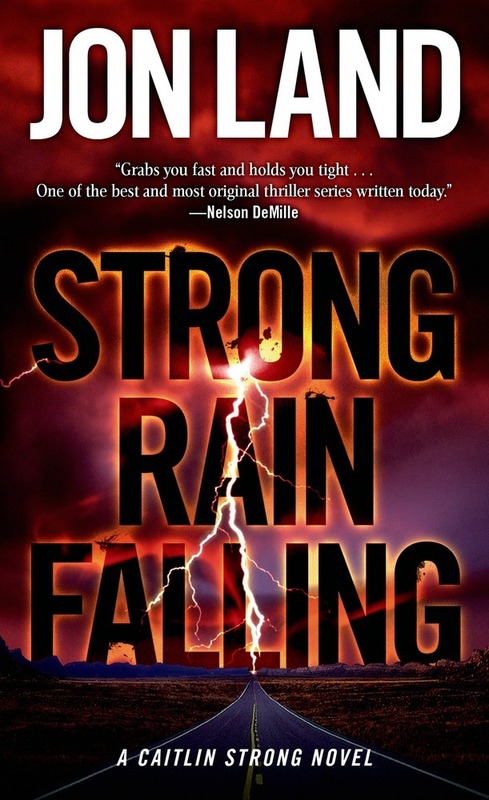 There's a strong rain coming and only Caitlin and Cort Wesley can stop it. JON LAND is the critically acclaimed author of thirty novels, including the bestselling series featuring female Texas Ranger Caitlin Strong: Strong Enough to Die, Strong Justice, Strong at the Break and Strong Vengeance. In addition, he is that author of the nonfiction bestseller Betrayal. He lives in Providence, Rhode Island.